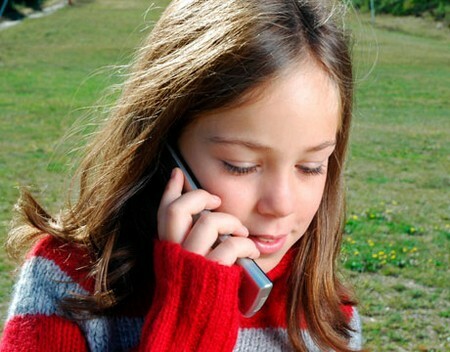 For a parent choosing up a plan for cell phone for his or her kid is a simple task. Most of the parents have a budget for this purpose and it is absolutely necessary in case we need to save money. We should avoid unlimited plans in such cases. The first step about choosing a plan for cell phone for the kids is to find a good carrier such as AT&T, T-Mobile, and Verizon etc. We have to look around about these different carriers and select the best which suits the kids. The process of selecting a carriers deals about their effectives in coverage area. Though the carriers say that they have a best coverage through their advertisements we have to check this through their websites. We have to find whether we lie within the coverage area specified by the carriers. We should not forget that we are choosing the plan for kids, so we must consider the points such as the places they mostly go and the coverage over these areas. We must also choose according to the kid’s needs. We must know whether they would use services such as internet browsing and 3G, or just send text messages to their friends etc. We have to select a carrier which offers a good coverage over the area where the kids and the parents move. The second step is to find out the suitable plan provided by the carrier for the kids. We have to make a decision before choosing the plan. In case we wish to start easily we can go for the unlimited plan. This allows the kids to do whatever they wish to do. If we expect the control over the kids we can go through the plans provided by the carriers and select a plan which we think is right for the kid. As a start it would be advisable to start with unlimited plan for minimum of a month to a maximum of two months. We have to go through the bills and can find out the usage by the kids. After this we can later decide upon continuing the plan or to change it according to the kids needs and to our budget. The final step is including the cost for the kid’s cell phone plan in our budget. We must be aware of the fact that if we have selected a plan which has certain restriction over the usage of the service and the kids over use the service we are the one who has to pay the extra bill. For this we can go to the unlimited plan itself. So it’s in our hands to choose the plan based upon the kid’s needs and our budget. On the whole choosing a plan for cell phone for kids deals about common sense and the tips above will be further helpful.